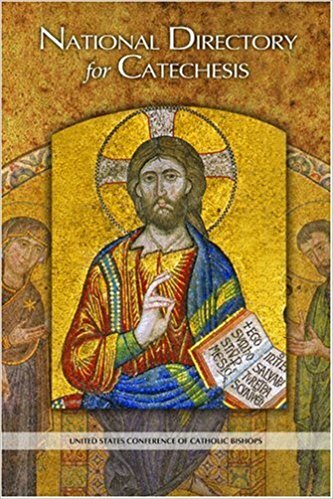 Offers a vision of adult catechesis at the center of all catechesis. Provides goals, principles, content and approaches for implementing the vision. Click on the cover photo to read the document. 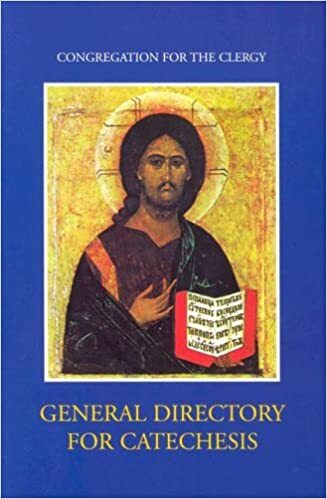 The National Directory for Catechesis (NDC) The NDC provides basic theological and pastoral principles for catechesis in the U.S. and offers guidelines for the application of these principles that will continue the renewal of catechesis in the U.S. The NDC focuses on the context, meaning, and methodologies for catechesis. Click on the cover photo and you will be directed to the USCCB on Catechesis. Worksheets for the NDC are available to download. Provides a “sure and authentic reference” for Catholic doctrine organized according to four pillars: Creed, Sacraments, Morality and Prayer. A resource for developing other catechisms and materials. 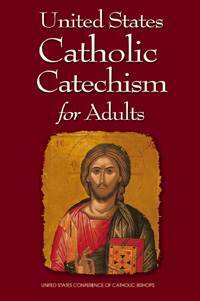 The document focuses on the most significant aspects of the catechesis of adults. It touches on common issues, common problems and probable solutions, which seem prevalent throughout the world, fully recognizing that inculturation will have to be made in the local Churches. This document is addressed to the whole People of God, gathered in the diverse Christian communities throughout the world, under the guidance of their Pastors. In a more direct way it has in mind those lay catechists who are already engaged in the catechesis of adults or who are preparing themselves for this service. 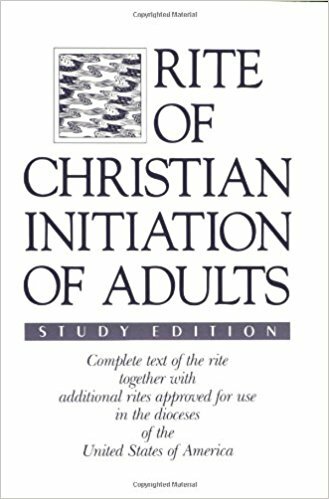 Click on the cover photo to learn more about the Rite of Christian Initiation of Adults. Emphasized the christocentric nature of catechesis: “The definitive aim of catechesis is to put people not only in touch but in communion, in intimacy, with Jesus Christ…” (#5) Catechesis is for everyone in the Church and needs to be systematic. 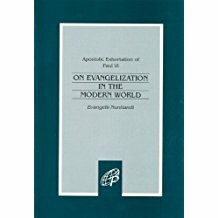 It is a “moment” in the process of evangelization and affirmed experience as a legitimate “point of departure” for catechesis. Click on the cover photo to read and/or download the document. The Church in the United States, together with the Church throughout the world, has found in Pope Francis' Post-Synodal Apostolic Exhortation Amoris Laetitia (The Joy of Love) a wealth of encouragement, guidance, and wisdom about the beautiful gift and vocation of marriage and family life. 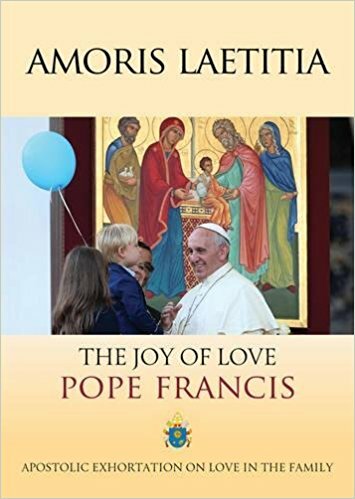 Since its release date on April 8, 2016, bishops, lay leaders, and families in the United States have proactively sought to receive Pope Francis's teachings joyfully and to implement them in our shared task of caring for marriages and families. 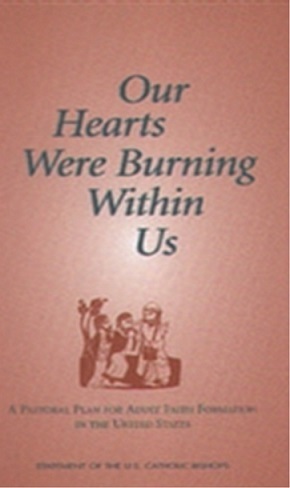 Click on the cover photo to download the document. On Care for Our Common Home (Laudato Si') is the new appeal from Pope Francis addressed to "every person living on this planet" for an inclusive dialogue about how we are shaping the future of our planet. Pope Francis calls the Church and the world to acknowledge the urgency of our environmental challenges and to join him in embarking on a new path. This encyclical is written with both hope and resolve, looking to our common future with candor and humility.